This blog post contains affiliate and referral links. I may earn a small commission to fund my coffee habit if you use these links to subscribe to a service or make a purchase. You will not be charged extra, and you’ll keep me supplied in caffeine. It’s a win for everyone, really. There are so many good reasons to want to travel with your family. The educational opportunities are endless, and it’s a chance to bond as a family on each adventure. 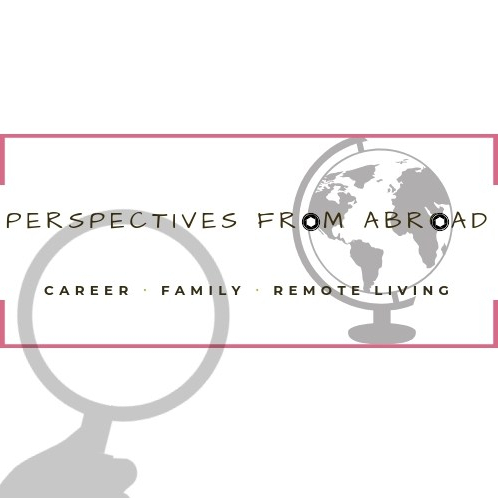 Who knows, perhaps your kids will catch the travel bug and want to explore the world too. Regardless of why you want to travel, having children shouldn’t curtail your plans to see the world. All of you parents know the reality – children are stress-inducing, unpredictable, fantastic, little humans. So I completely understand why the idea of traveling regularly with children would break some out in hives. None of that will magically change on vacation, so might as well change up the scenery. I read about this super brave family that opted to do just that. Traveling with a newborn might be a lot for some people (I definitely count myself as one of them), but this is what I’m talking about. The good news is that with practice and planning it’s possible to take the fear out of traveling with little ones. Take comfort in the fact that each trip with your children will make you more of a pro and show you how much your kids have grown and changed since the last time. Their needs and capabilities will morph over time, making some aspects easier while also creating new challenges. In so many ways, that’s just part of the fun. The most important thing about traveling with kids for me is access – to goods that are familiar to us and that the kids are accustomed to seeing. My three-year-olds will only drink one kind of soy milk that I can’t often find in the sea of soy milk in Asia. So we had to improvise and get creative with packing. They are also starting to warm up to smoothies and blended fruit juices. When kids are much younger, their needs are much more straightforward – and fit better into a suitcase. Their food is specialized and, for a time, entirely different from what older people eat. That is unless you need a specific brand or type of milk that general grocery stores may not carry. During that time in my kids’ lives I found it easiest and most practical to carry their milk with me, then buy fruits to cut or mash wherever we stayed. I took my Baby Bullet on some of those early trips, and it made feeding the kids so much easier. It’s also nice to know that you can buy diapers easy if you run out. Another aspect of access that’s important to consider is transportation. Are taxis easy to hail and cost-effective? Is there a reliable, and heavily patronized transit system? Is transport to and from the airport available through your hotel or home rental? All of these are important questions when selecting a vacation destination. Anyone who has spent any time with children understands the constraints of getting around with them. With babies, you have the benefit of babywearing – especially when the place isn’t stroller-friendly. This Stuff 4 Multiples carrier worked well for us until they were too heavy to carry. With older kids, getting around becomes more complicated. They are too big to be carried around in a wrap or carrier, but still too small to walk for long periods. That’s when you have to be realistic about the type of ground you can reasonably cover and how long you can spend site-seeing before the inevitable meltdowns begin. Last, but not least, make sure you know how to access healthcare services in the unfortunate event that you or someone in your family needs it. Look into whether you’re either covered by your existing coverage when you travel or if a travel insurance package is necessary. For less significant medical needs, keep a well-stocked first-aid kit to take with you. Even if your children are generally healthy, there’s nothing worse than trying to find children’s medicine after dark. The whole reason to travel is to see and experience different parts of the world. Wherever you go, it has to be someplace that has activities that the entire family can enjoy. Babies can tag along to a lot of sightseeing excursions that you may not be able to do with toddlers, but it’s understandable if you’d rather chill out with baby building sand castles on the beach. You might be surprised by how many activities are possible with toddlers. 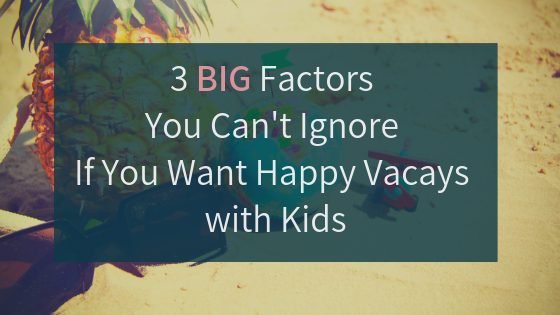 Even though the little ones are outside of their usual home structure, it’s still essential to maintain a loose schedule for your days on vacation. I have found that keeping time for daily naps or quiet time (despite their energy and excitement about being on holiday) will go a long way in minimizing crankiness. Just be prepared to be flexible and know what local attractions you want to check out as a family. When we traveled to Chiang Mai, we managed to see temples, eat fantastic food, shop, and take a beautiful tour of the countryside – and it didn’t leave us totally drained. The next time we go on vacation, I’m looking forward to getting the kids more involved in our destination. Little Passports has cool educational fun for children of all ages, so I’m looking forward to checking it out. (Hands-on educational activities for all ages, delivered to you every month! With a party of four, we’ve found that a room set up with more than one bed and separate spaces – if possible – gives us a relaxing area to unwind after spending time exploring cities, soaking up the sun or learning about new cultures. It also always helps to have easy access to a pool or the beach – or both in our case. In true twin fashion, one prefers wading in the pool, and the other will jump and splash in the pool then run around the beach hunting ocean wildlife. In Chiang Mai and Railay – in particular – where we were able to have this setup, I felt that we had a more enjoyable experience. Depending on where you’re trying to go, getting that kind of set up in a hotel is still pretty pricy. Now with home-sharing services, we can reserve a place that we truly make our home on vacation. Agoda and its Agoda Homes offering is the booking platform we use for our travels in Asia. Once the accommodations are set, it’s time to get ready to go. Are you planning your first family trip after the arrival of a little one? Tell me about it!